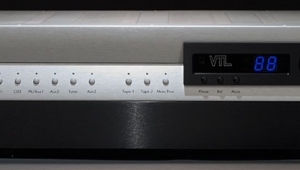 The big splash about the VTL gear demonstrated in Chicago almost 30 years ago was that while I'd expected to hear the silky, luscious liquidity I normally associate with tubed components, these had amazingly low coloration and deep, solid, tight, forceful bass. These characteristics aren't uncommon in today's tubed products, but were very unusual in 1986, even in the most expensive models. 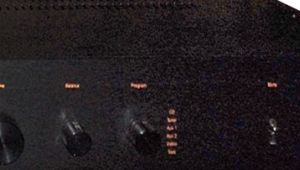 Since then I've attended many more audio shows, and it seems to me that, of those manufacturers that don't make tubed gear themselves, more demo with VTL amps than with any other brand of tubed electronics. VTL must be doing something right. 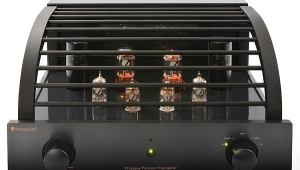 The TL-5.5 Series II Signature preamplifier is VTL's most expensive all-tube preamplifier ($7000, or $9500 with integral tubed phono stage), and it's the latest version of the original TL-5.5, which Chip Stern reviewed for Stereophile in November 2002. The TL-5.5 Series II Signature retains the basic all-tube circuit topology of the original TL-5.5 with a lower-gain, high-current 12AU7 tube circuit, a 12AT7 tube buffer, minimal negative feedback, and a low-impedance output stage. 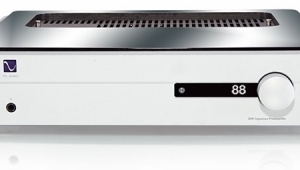 The TL-5.5 II also features a new, precision-regulated power supply trickled down from VTL's flagship TL-7.5 Reference hybrid preamplifier. 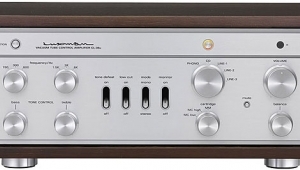 Moreover, as the original TL-5.5 used a standard resistive potentiometer as its volume control, the Signature II has a 117-step, chip-based differential volume control, with a 3-digit display. 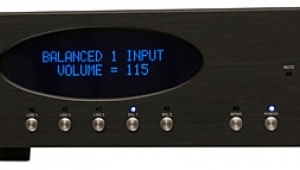 The new version of the TL-5.5 operates in fully balanced mode from input to output. 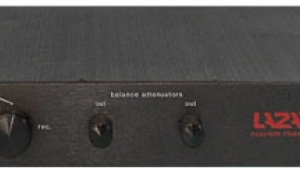 The TL-5.5 II has two pairs of inputs that can be operated in either balanced mode (XLR) or single-ended mode (RCA), as well as six additional single-ended RCA inputs. 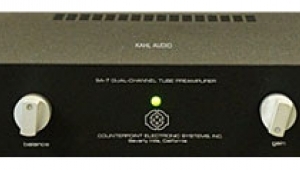 There are three pairs of outputs, one each of balanced (XLR), single-ended (RCA), and single-ended Record (RCA). 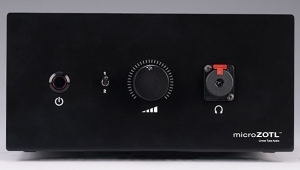 The preamp can be switched between Normal and Low gain (I listened at the Low setting), and has two programmable trigger outputs. 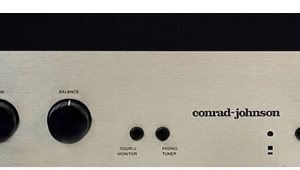 Also included is an RS-232 connector, to enable the preamp to be remotely controlled. 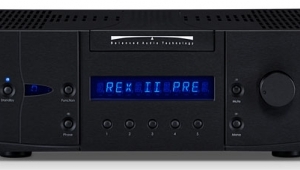 The TL-5.5 II's own remote has more functions than any nonhome-theater remote I've seen: Power, Source Select, Volume, Mute, Balance, and Invert Phase. 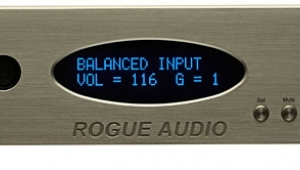 All of these are also accessible on the attractive front panel, which displays the volume level in increments of 1dB. 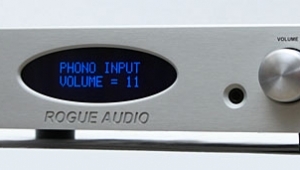 The optional phono stage is a hybrid design (parallel JFETs and 12AU7 tubes) originally developed for the more expensive TL-6.5 preamplifier. The sample I received didn't include the phono stage; my auditioning comments here refer to only the line stage. 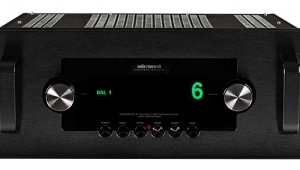 For LP playback, I used the Vendetta phono stage. 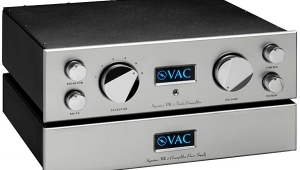 The VTL's midrangevoluptuously rich, detailed, and liquidmade it a natural match for well-recorded voices. My favorite Beatles recording of solo voice, musically and sonically, is John Lennon's soulful rendition of Arthur Alexander's "Anna (Go to Him)," from Please Please Me (CD, Parlophone). The TL-5.5 II brought out every low-level dynamic nuance in Lennon's vocal style; even his raspy upper register was bathed in a golden glow. 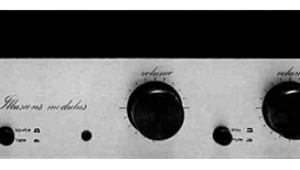 The VTL's midrange, however, was revealing and uncolored enough to differentiate among the sound qualities of various recordings. Jennifer Kimball's forceful yet delicate alto on Oh Hear Us (CD, Epoisse 786851 1092 29) was much more realistic and involving than the otherwise excellent Carole King on The Living Room Tour (CD, Rockingdale rcd2-6200-2), which sounded relatively more drab. But both recordings were more enjoyable than the slightly edgy-sounding Sarah Vaughan on The Divine Sarah (CD, Bluenite Records BN050). But the best vocal recording wasn't a vocal recording at all. Olivier Messiaen was a fan of the Ondes Martenot, an electronic synthesizer from the early 20th century that has a cameo role in his Turangalîla Symphony. In his Fête des Belles Eaux, Messiaen puts the instrument in a solo role within a chamber sextet. On the LP (Erato LDS 3202), this unique instrument sounds like a cross between a woman's voice and the purest woodwind you've ever heard. Through the VTL, the phrasing, delicacy, and dynamics of the Ondes Martenot were mesmerizing. The integration of the VTL's midrange with its delicate and uncolored highs made it a good match for well-recorded guitars. Bill Frisell plays a wide range of acoustic and electric instruments on his solo album Ghost Town (CD, Nonesuch 79583-2), and through the VTL each had a perfect integration of mid- and high-frequency timbres, for a rich, airy sound.